Our 'Be Extraordinary' Program gives 2 students needing financial aid the opportunity to sign up for each of our school programs. The contents of this form will remain strictly confidential. Once approved, the recipient will be treated as a regular registration on our attendance sheets. The school will not be notified of the name of the recipient or their information. Please explain why your child wants to be in the program and improve their skills. At TAC Sports we love to have the students most passionate to improve and get better in our programs. ACKNOWLEDGEMENT AND WAIVER I, the undersigned, acknowledge that I am the parent and or legal guardian for the child who will be participating in any Toronto Athletic Camps Inc., events. RELEASE For good and valuable consideration, the receipt and sufficiency of which I acknowledge, I hereby irrevocably and unconditionally release and forever discharge Toronto Athletic Camps Inc. ("TAC") and the owner of any facilities used in connection with the chosen activity, together with their respective affiliates, directors, officers, employees, shareholders and agents (collectively, the "Releasees"), of and from all actions, demands, damages and all other claims whatsoever that I, or any person claiming through me or on my behalf, may at any time have against any of the Releasees for or by reason of any cause, matter or thing relating to the operation of the chosen activity, including without limitation any loss, injury to persons and property however caused while participating in the chosen activity. MEDIA I grant permission to TAC and persons or corporate entities or affiliates acting on behalf of or through TAC the right to use, reproduce, and/or distribute photographs, films, video tapes and sound recordings of my child, for use in materials they may create for purposes of promoting TAC and or any training or current or future marketing campaigns on TAC’s website. 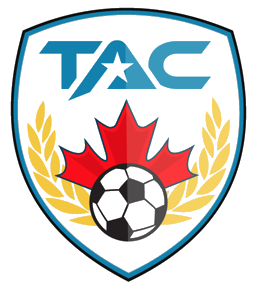 I agree that TAC can collect, use, disclose and store personal information for the purposes of group events, collecting/processing payments and emailing or mailing promotional/marketing material related to TAC’s business. INJURY I acknowledge and accept that a certain amount of risk is associated with any such sporting events and that by using the club’s facilities or participating in their programs, I the undersigned expressly agrees to hereby release, and forever discharge Toronto Athletic Camps and Mayvale Tennis Club, Mayvale Park and their executives, Richmond Hill Montessori, Crescent Boys School, Aqua Fun Academy, and Ready Set Sports its servants and agents, members and participation of and from any and all actions, causes of actions, claims and demands whatsoever in any way arising out of injury to or illness of our child or children or loss of or damage to property occurring during or as a result of anything done or left undone including negligence by the Toronto Athletic Camps and Ready Set Sports, Aqua Fun Academy, Mayvale Tennis Club, Mayvale Park and their executives, Richmond Hill Montessori, Crescent Boys School or any of the other persons hereby released in connection with the operation of Toronto Athletic Camps and Mayvale Tennis Club, Mayvale Park and their executives, Richmond Hill Montessori, Crescent Boys School or anything arranged by it to take place outside of its training premises. I hereby forever release Toronto Athletic Camps and Newtonbrook Tennis Club, Mayvale Tennis Club, Mayvale Park, Ready Set Sports, Aqua Fun Academy and their executives, Richmond Hill Montessori, Allenby Public School, its Executive, Crescent Boys School Club, its Executive, employees, volunteers, and members from any liability for loss, damage, or injury (including death), however caused, that may result from participation in club activities and declare that this release is binding upon my heirs, executors, administrators, and assigns. CODE OF CONDUCT I agree to comply with any TAC club rules and or policies or conditions as advised or posted and that such rules will be applied by any members of TAC. I understand that my membership is contingent on complying with TAC’s rules and that my membership can be revoked or suspended for any violation of such rules. I acknowledge that the safety of each individual is important to TAC. I and my child recognize a personal responsibility to learn and follow safety and other rules established by TAC staff at all times. I and my child understand that any behaviour that places my child or others at risk physically or emotionally (including harassment and or/bullying) that may result in immediately dismissal or removal from the program without refund. TAC has a zero tolerance violence and bullying policy. I further agree and warrant that I am responsible for ensuring that my guest(s) comply with all the rules of the club. SOLICITATION I further agree and warrant that I approached TAC for their services based on my own volition and through any indirect or direct marketing, promotional and or referral campaigns and I was not unduly influenced. I acknowledge that I was not solicited by any members of TAC other than through their marketing, promotional and or referral campaigns and that I have selected this program based on my own experience, research and needs. CHANGES In order to facilitate any TAC programs whether for safety purposes or reasons beyond TAC’s control, I further acknowledge and agree that TAC reserves the right to amend or alter any programs at any time without compensation to participants, parents or guardians. That such amendments will only be made in conditions that are beyond TAC’s control and that it is understood that due to the nature of the program certain circumstances could potentially arise from time to time. I acknowledge the terms above by signing this document. I warrant that I understand the contents of this document. I acknowledge the terms above by signing this document. I warrant that I understand the contents of this document.